We, humans, might be very different on a surface level. But, from a broader perspective, we have a lot in common. Communication, for instance, is key in every single person’s life. Without the ability to form words, express body language, or share our ideas through the written word, this world we share would be a vastly different place. The letters we use on a day-to-day basis, in particular, are quite fascinating. Perhaps this is because they weren’t invented in this time period. 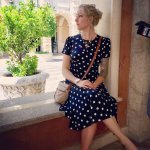 Rather, they have been developed over thousands of years by shared ancestors who conceived the ability to communicate with symbols and numbers. To illustrate the evolution of the alphabet, Matt Baker (of UsefulCharts) designed a poster that displays the evolution of our familiar alphabet. It originates in ancient the Egyptian Proto-Sinaitic era (1750 BCE) and concludes with present-day Latin script. 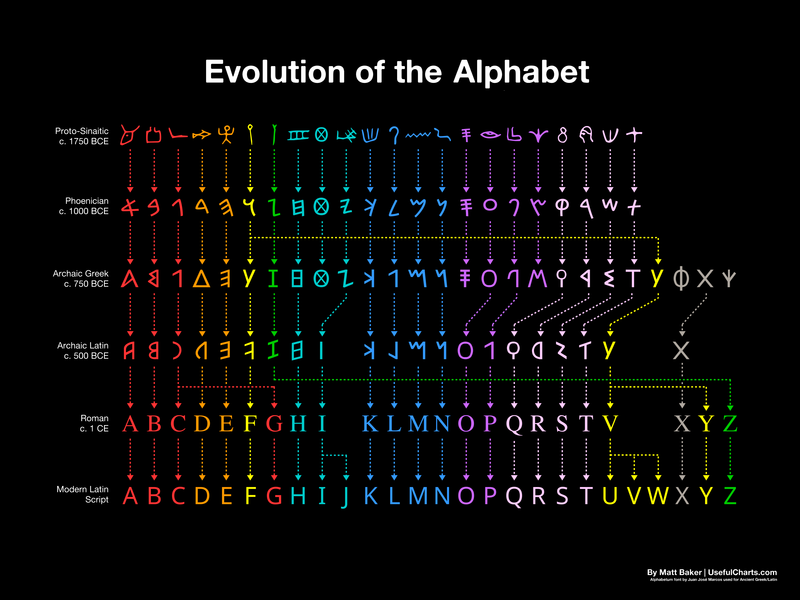 The Evolution of the Alphabet is a limited edition chart that displays how early shapes and symbols eventually morphed into what we know as the ABCs. As MyModernMet notes, some of the letters are recognizable early on. Others have little resemblance. For instance, the letter “C” was originally shaped like a boomerang or a hunter’s stick. But, it wasn’t until 500 BCE that it was given its crescent shape. Then, 500 years later, the Romans flipped it to the direction it is written today. 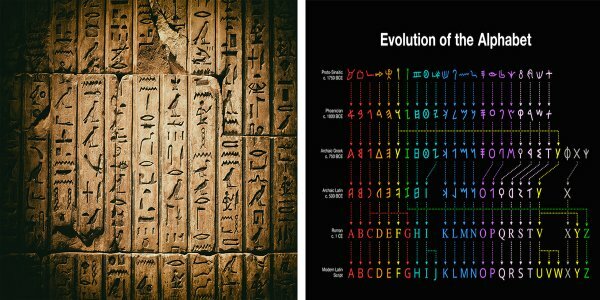 You can purchase the Evolution of the Alphabet chart and check out more of Baker’s poster designs on the UsefulCharts website.
? A Wild Bison Was Spotted In Germany For The First Time In 250 Years. Then, Authorities Shot It. Why CBS Banned $5 Million Medical Marijuana Ad From Super Bowl ?